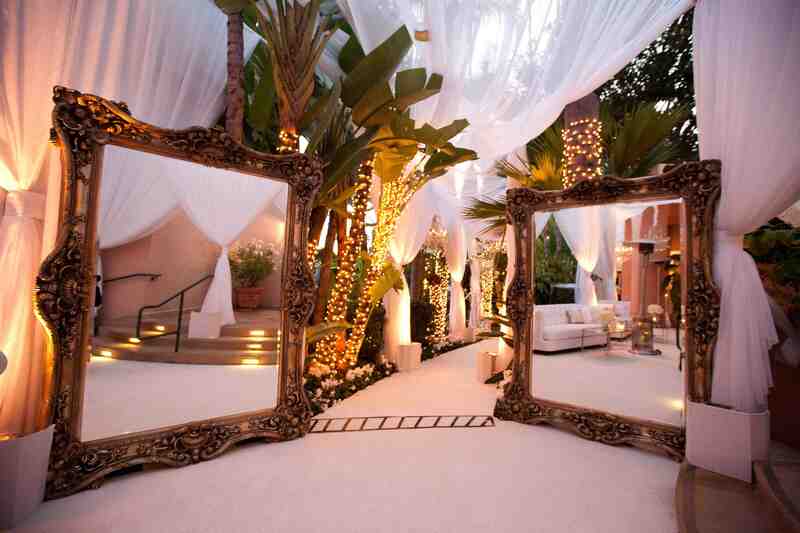 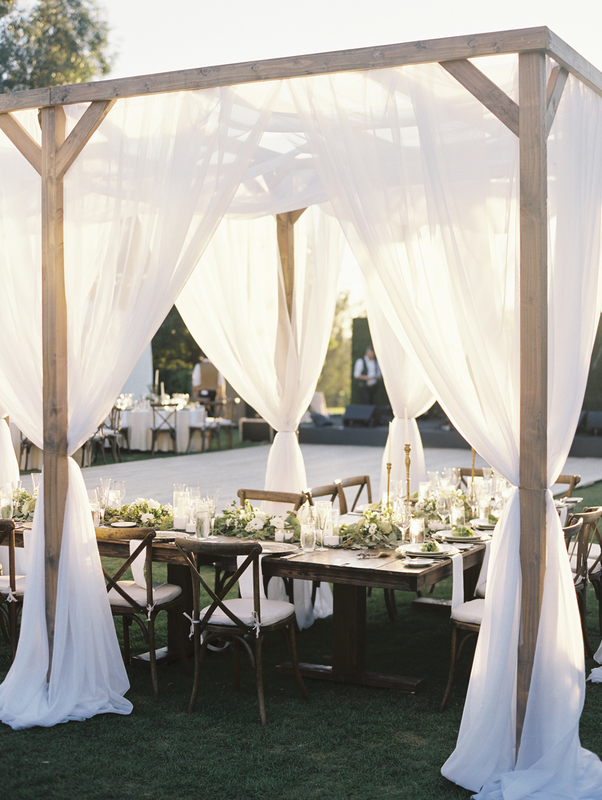 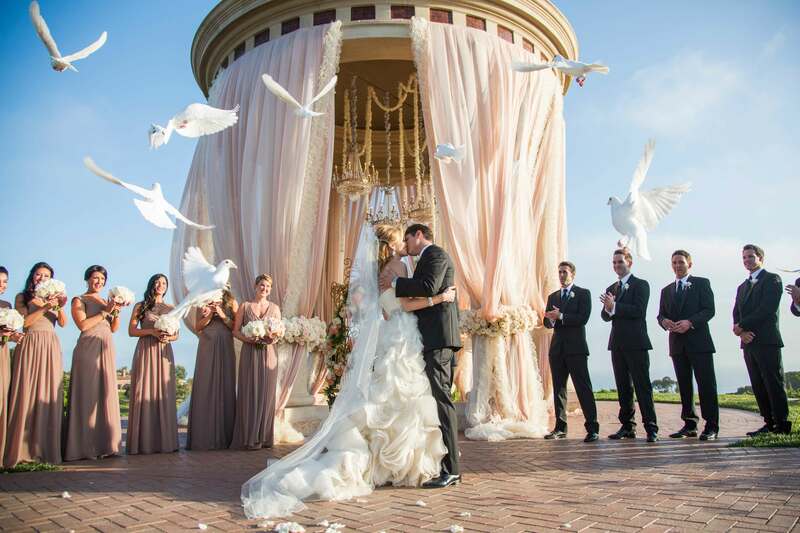 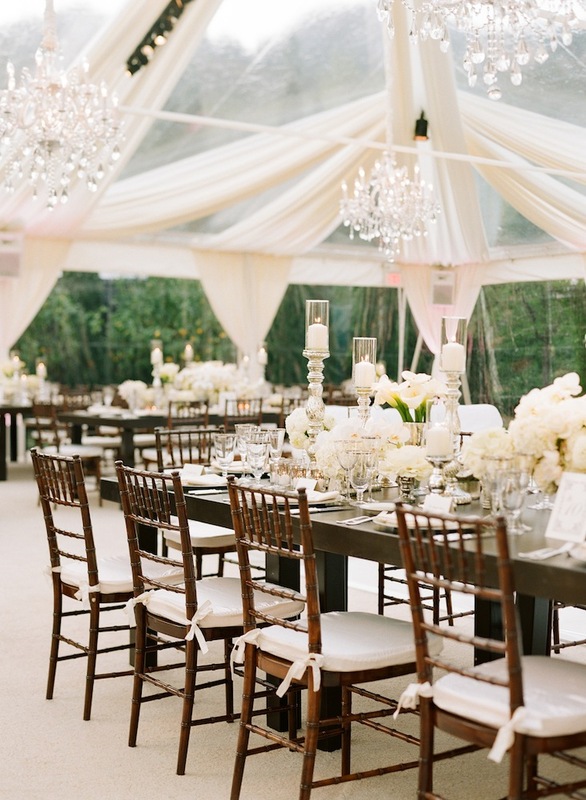 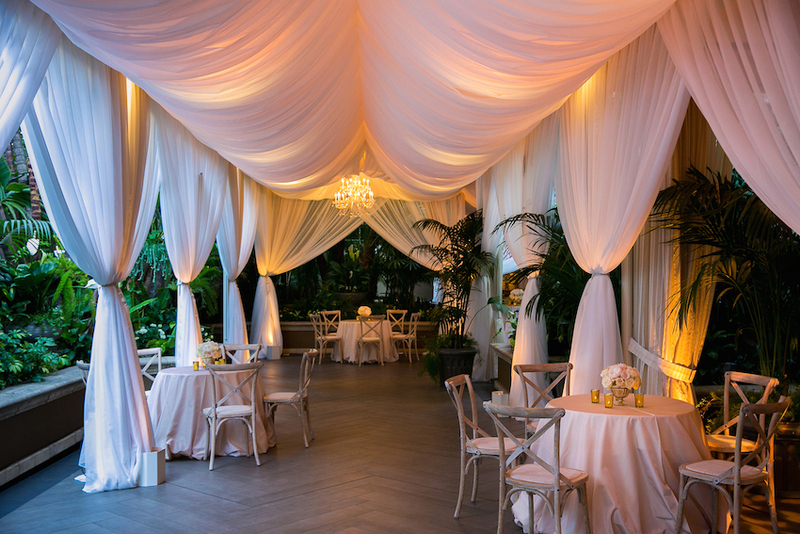 Discover 14 ways to use gorgeous drapes during your wedding events. 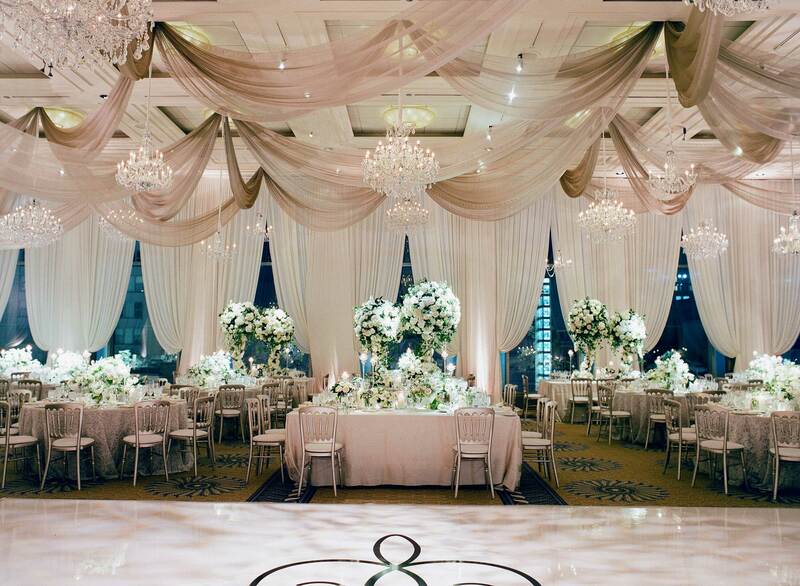 There are plenty of ways to add romantic elements to your wedding décor: fragrant flowers, ambient lighting, personal details, and of course, drapery. 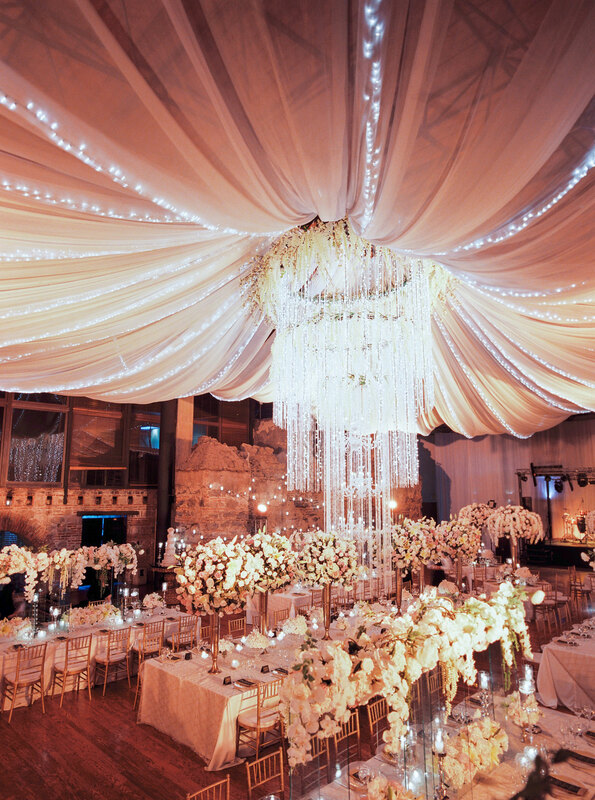 Suspending beautiful fabric from ceilings or chandeliers and embellishing walls or creating dramatic entrances with drapes are easy ways to add stunning decoration details to any of your wedding events. 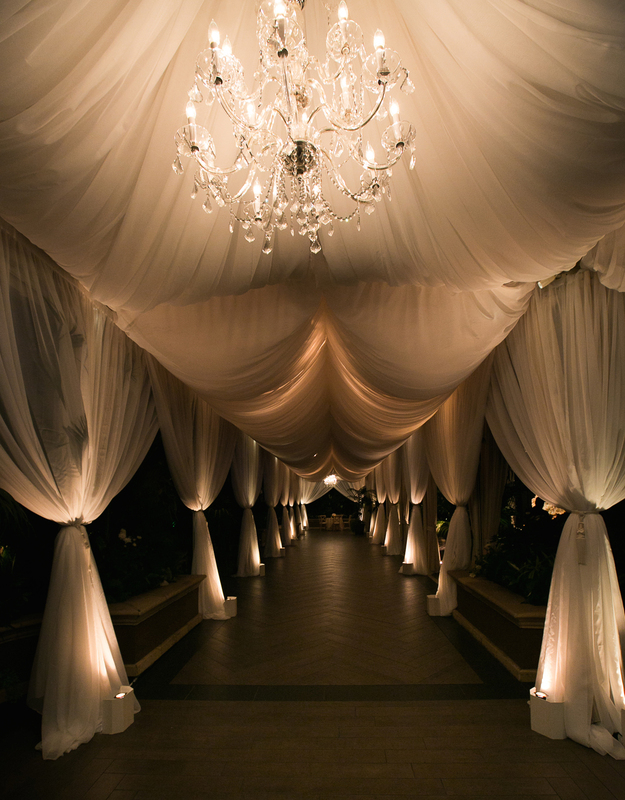 Whether you incorporate drapes into your ceremony structure, entranceway, cocktail hour, or reception space, the billowing fabric is sure to add an ethereal element to your wedding day. 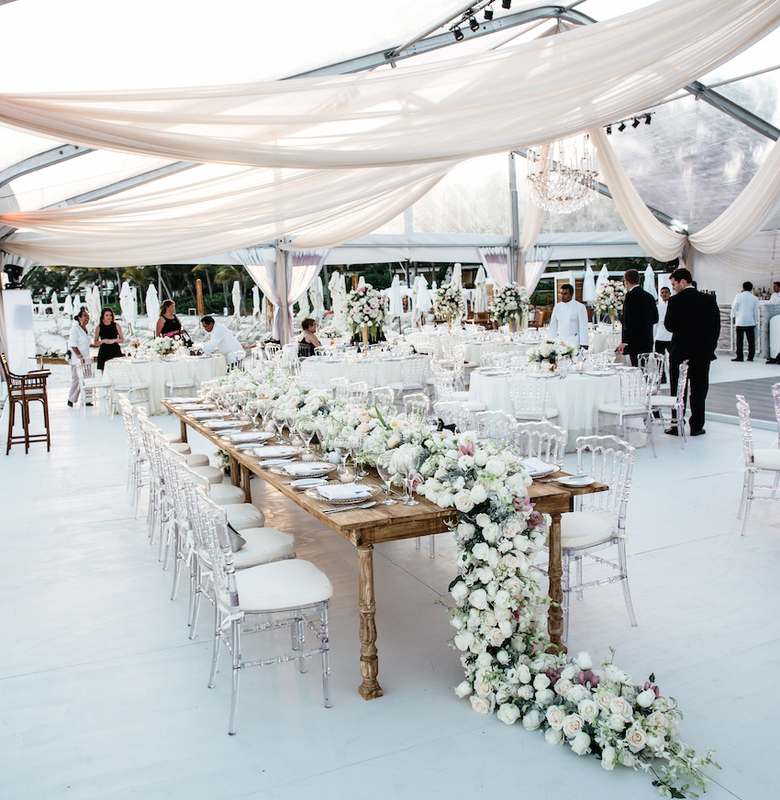 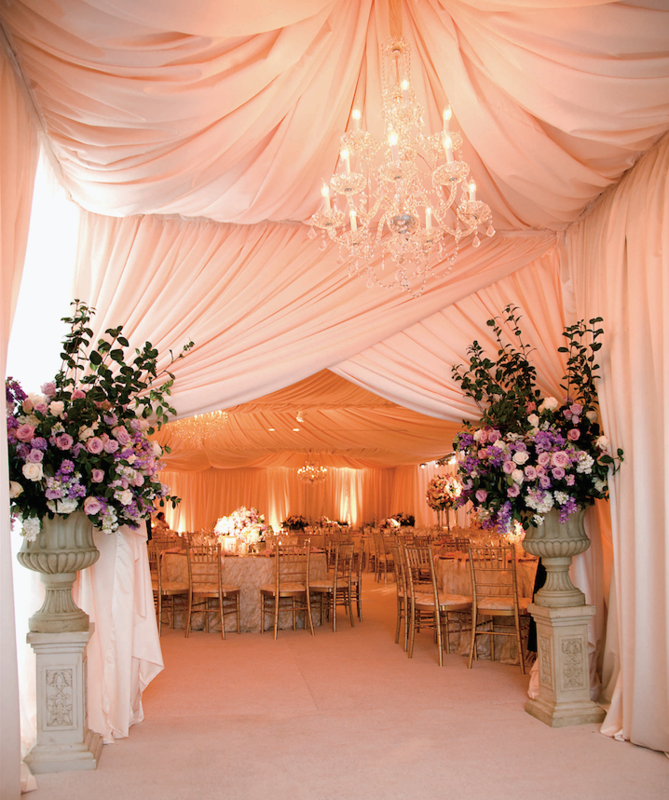 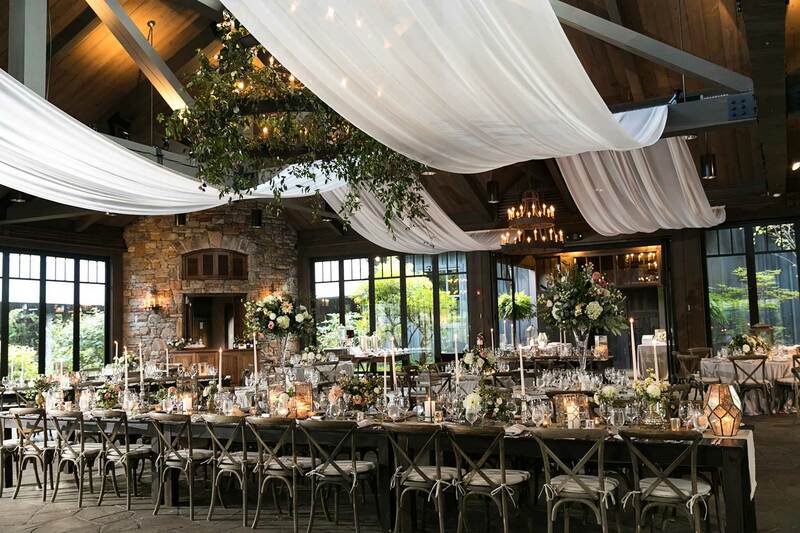 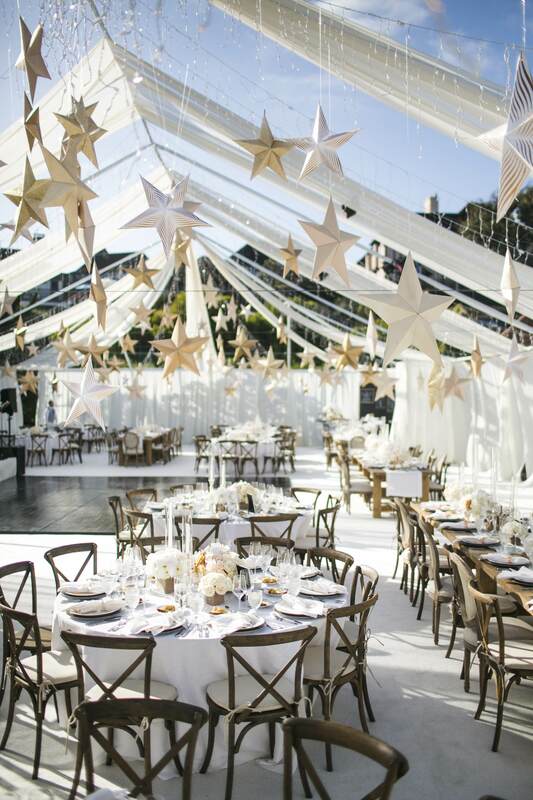 Sheer white or blush drapes fastened with florals and illuminated with exceptional lighting design will transform a blank ballroom or tent into a striking setting that radiates romance. 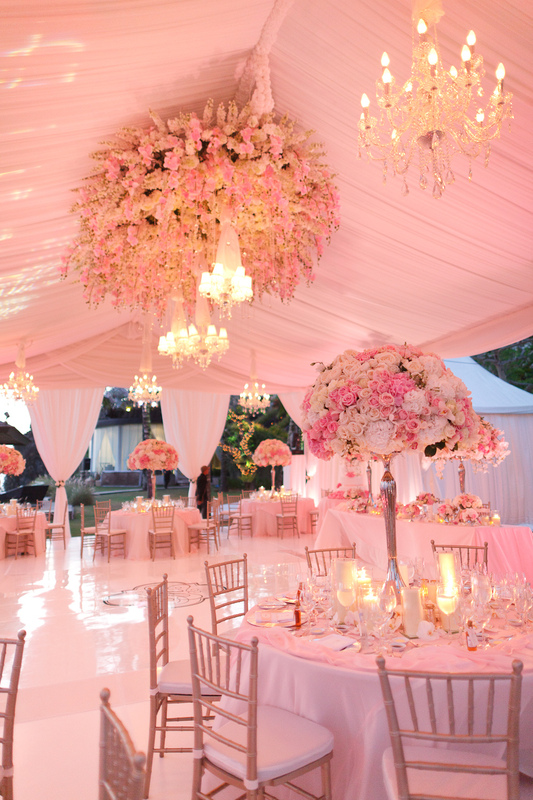 Photo by Samuel Lippke Studios; Event Design by White Lilac Inc.
For more wedding ideas and inspiration, view gorgeous tall floral arrangements for reception centerpieces, be inspired by ways to decorate your wedding bar, and view remarkable ceiling installations perfect for decorating the area above your dance floor.